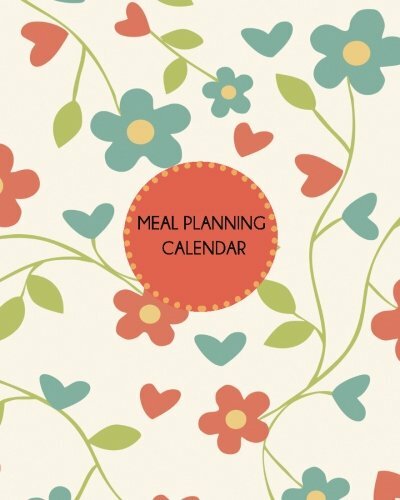 Use your bujo to integrate your meal planning, recipes, grocery lists, and food budget. 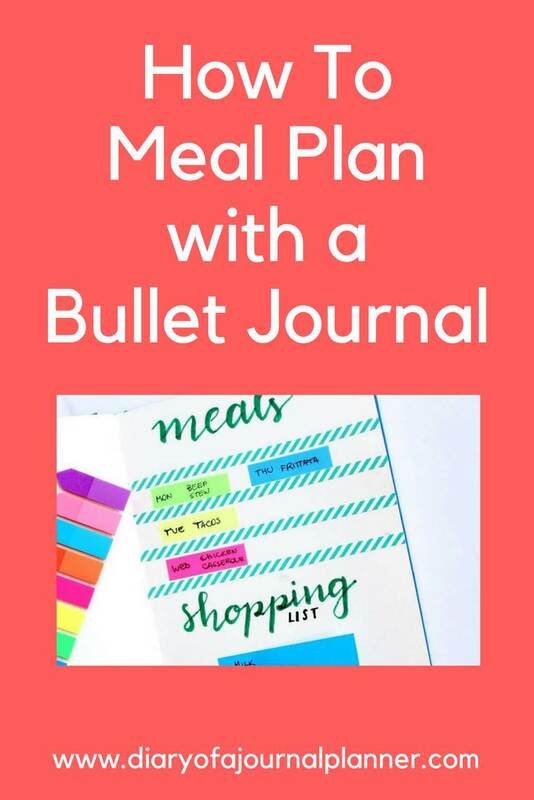 Read on to learn how to use a bullet journal meal planning system. It requires a lot of effort to maintain a healthy eating habit these days. There is so much convenient food on the supermarket shelves nowadays that it is easy to neglect dinner planning and prepping with our ever busy days. 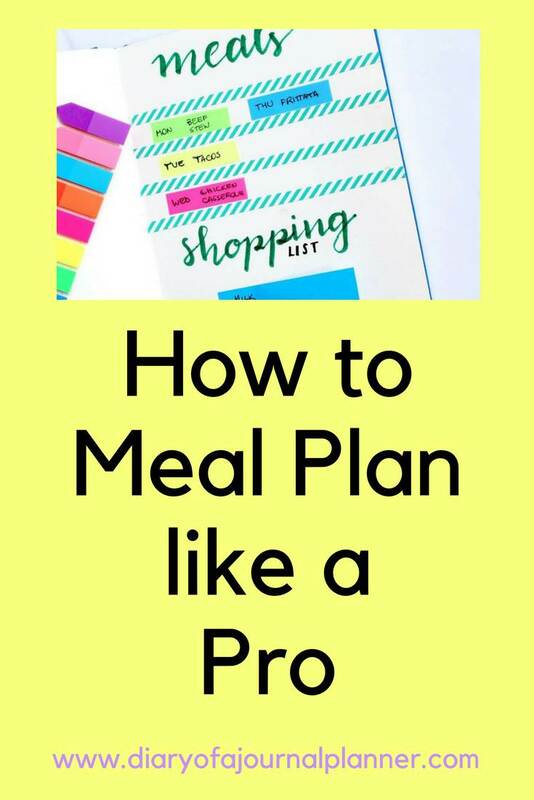 And even if you are 100% into healthy eating you could probably use some efficient method to help you planning meals, shopping for ingredients and preparing the final meal, as well as an overall healthy food journal. 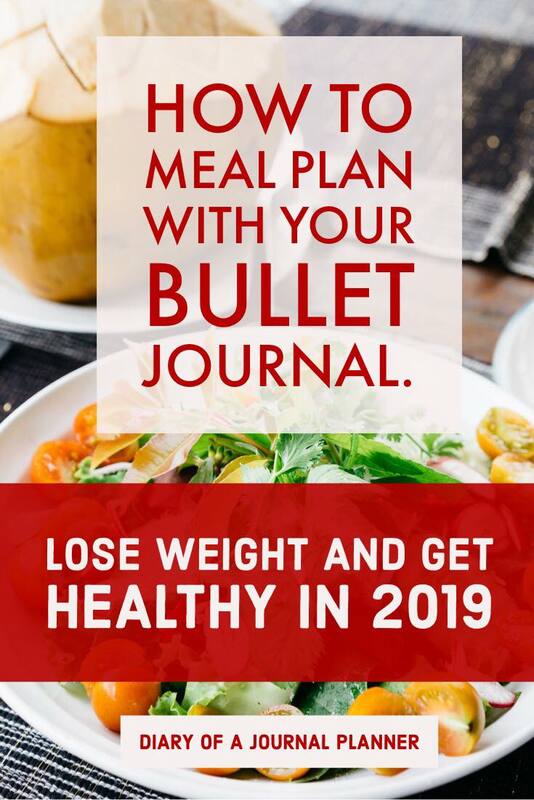 It is common to have a bullet journal food diary or food tracker, especially when you are following a diet, fitness or weight loss plan. However, a grocery and meal planner is not as common. Food planning and prepping is a great way to reduce your food budget expenses by being more aware of the things you need to purchase for any given meal before you set out to the supermarket. Luckily, there is an easy way to do it using your bullet journal, you can call it a meal journal or a bullet journal food log. And this article is here to help you create one! No need to use one particular meal planner notebook. 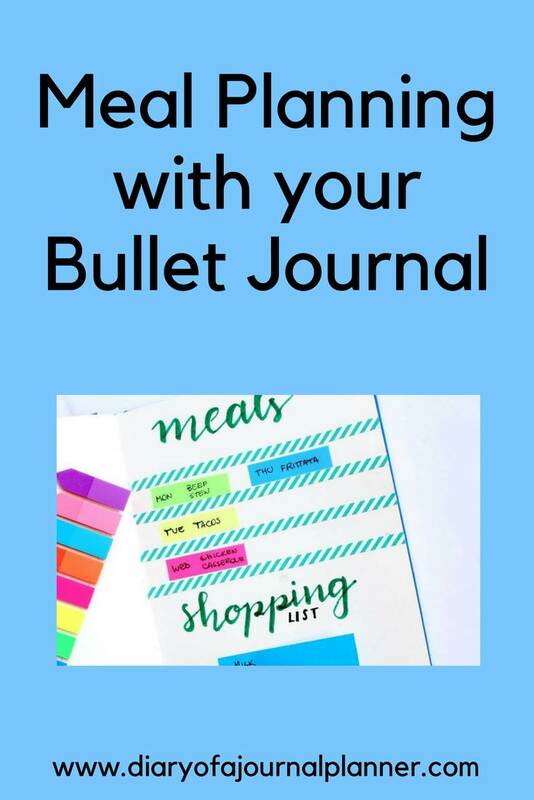 Here you will learn how to take one simple Bullet Journal and use it to integrate your meal planning, recipes, grocery lists, and food budget. Read on to learn how to plan your meals with your bullet journal. 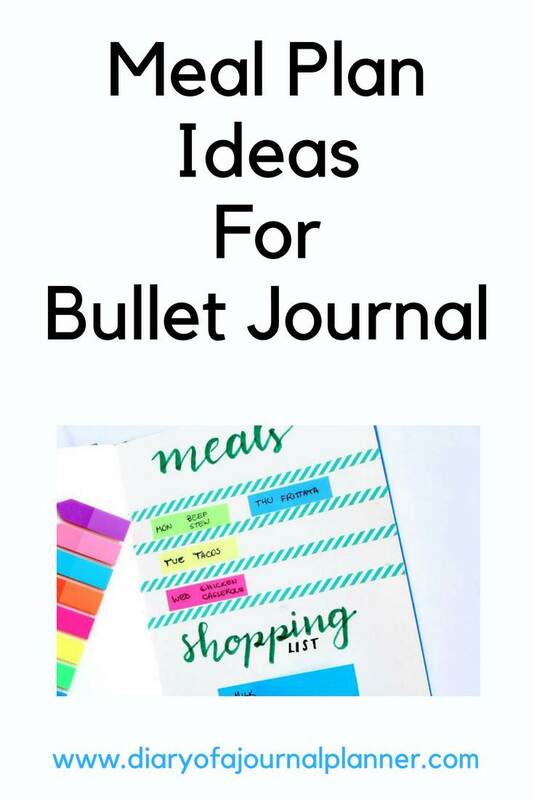 Bullet Journals have become all the rage for individuals like me and you who still enjoy keeping our lives organized via the classic paper and pen approach. 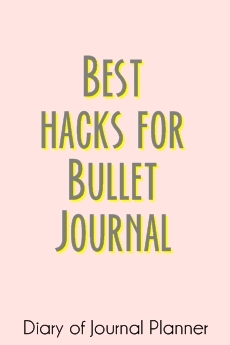 But what is a bullet Journal? 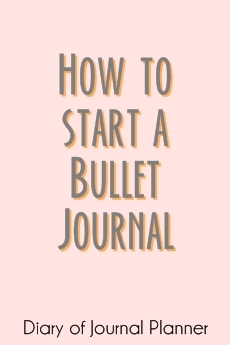 You can read my bullet journal for beginners guide here but simply put it is a journal in which you use a collection of symbols and bullets to organize and connect multiple notes. Instead of writing full sentences you use concise words to keep your tasks brief and manageable, and you can literally use this system with any planner or journal. The good news is that with a bullet journal you can manage it easily just like other aspects of your life. To start off, think what a typical week’s worth of meals would look like to you. Decide on the meals to prepare. It might be something you are craving, something the kids asked for or maybe you are following a diet and need specific ingredients. Add your list of ingredients to your bullet journal menu planner, starting with the first meal idea. Add a bullet symbol for those ingredients you need to purchase more of. Repeat for all other meals but instead of using the word “buy more” just add the bullet point to the ingredient. Once all your meal ingredients have been listed, make a remark of the quantity needed for each ingredient. That way you can quickly see which products, and how much of them, you need to purchase. 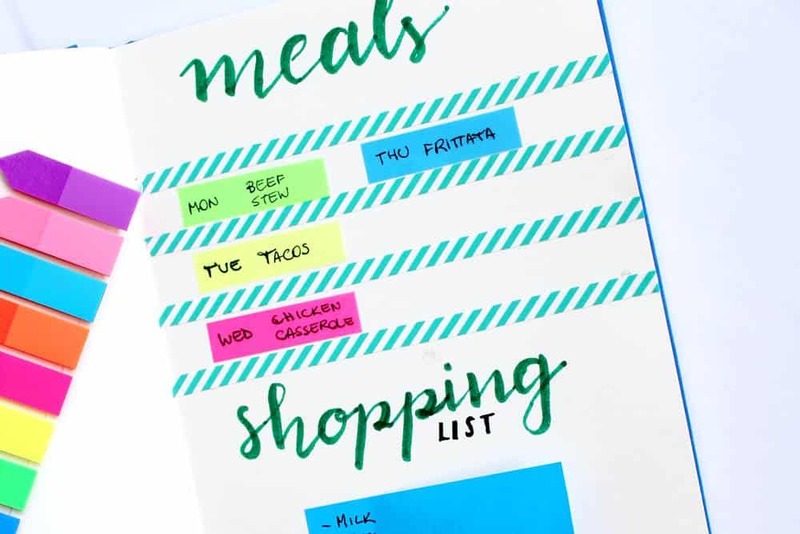 Another visual way to use your food bullet journal to take notes of meal preparations is to add a meal planning calendar to your your journal using tab dividers and sticky notes. My meal planning and meal prep layout is ongoing and I don’t need to add different collections every week. I simply come up with a few meals for the week and add them to sticky notes. Those notes stay in my bullet journal until we make that meal. Sometimes it stays for longer if we want repeats!! On a larger sticky note, I add my grocery list. This space is also reusable when I have different shopping lists. I like the convenience of being able to give the list to my husband too in case he is doing the shopping that day. Imagine this scenario: the day went by so quickly and you got home at just about dinner time, the kids are hungry and grumpy, you don’t have much in the fridge to cook a quick healthy meal and all your inspiration has been drained with the day’s tasks. With both my husband and I working, unfortunately, this scenario happens quite a lot in my home, far more often than I care to admit. I discovered the benefits of prepping meal when we both used to work very far away from home and just didn’t have any energy to cook when we finally got home. We started planning, prepping and cooking on the weekend and leaving healthy meals ready in the freezer for weekdays. The bullet journal helped to keep the system organized. This was really efficient at keeping our grocery shopping costs down. We suddenly didn’t have to go to the supermarket for the small amount of items which would cause us to buy unecessary items or waste products that we had too much of. It also gave us the chance to cut coupons and bring them with us during our well-planned shopping trips in the weekend. The Bullet Journal system is very efficient to add a note of ingredients you have coupons for. A good tip is to keep your discount coupons inside your journal and keep your journal with your car keys. Another thing that the bullet journal helped with was making it easy to add substitutions on recipes for allergies and preferences. Write down the recipe instructions with your changes under the ingredients list, and then it is easily available next time you make that meal. 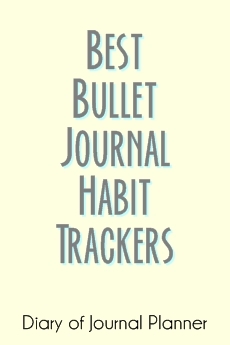 Use your bullet journal symbols for the steps you need to do advance. You can also reserve a separate page at the back of your journal for listing brand names you come to prefer, stores that don’t carry frequently used ingredients, stores where pricey ingredients are more affordable and any other useful tip you gather along the way. In time this will prevent you from making too many trips to the shop or end up overspending. 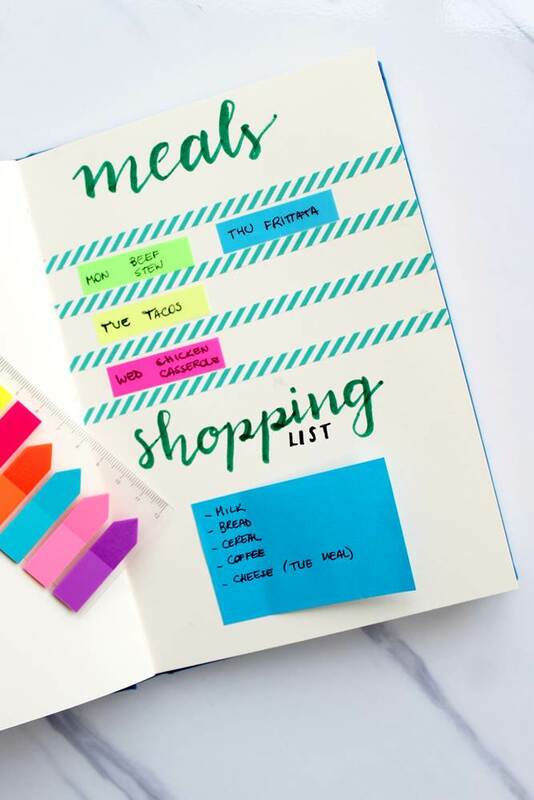 And the good thing is that the more you use bullet journal meal planning, the more uses you will find for this system! You won’t be standing in the middle of the shopping aisle, searching through multiple recipes on your phone or trying to figure out what you did the previous time to make the sauce thicker. If you are not familiar with a bullet journal meal planner or want to keep your weekly food diary in another notebook, I recommend you to get one of the food planner journals below. 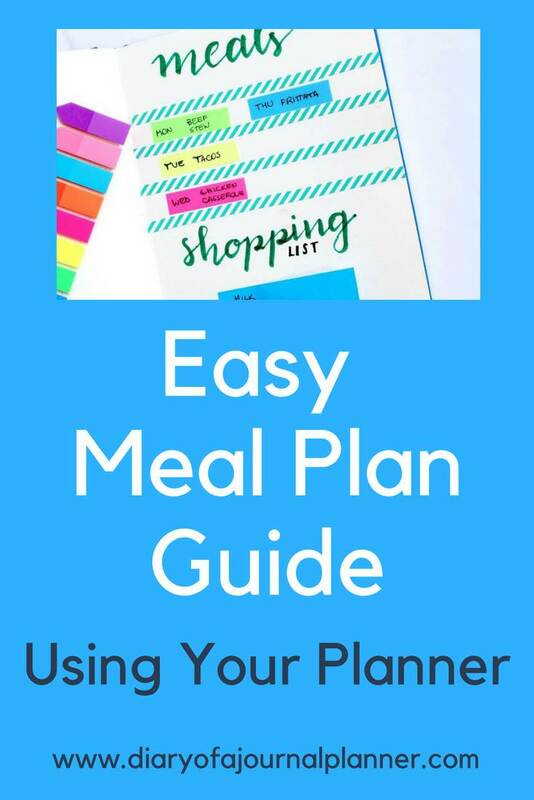 This is a simple all in one place for your food log and grocery meal planner. 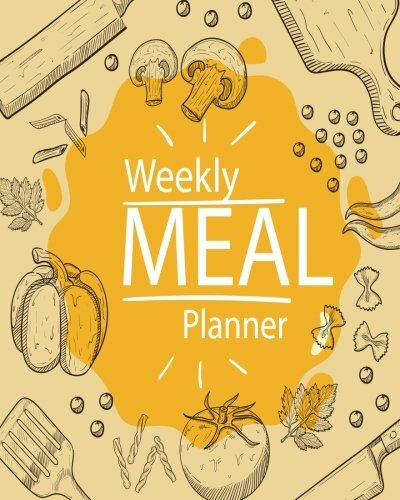 This weekly meal planner journal contains menu food planners and grocery list for every week of the year. 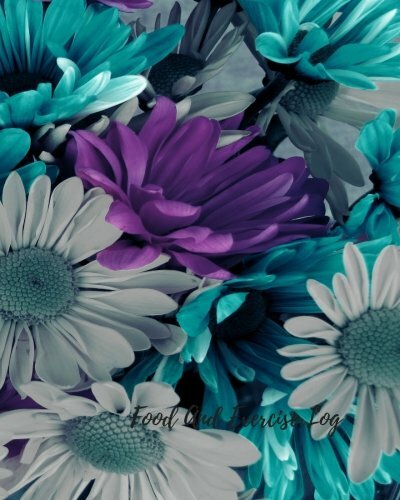 This food journal notebook for meals and dishes includes grocery list and pages for your favorite recipes. With this food journal planner you will get organized with your meal prepping and eat healthy. 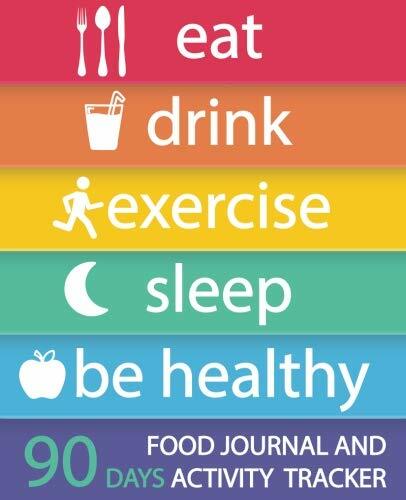 In case you need a fitness and diet food journal then this notebook might be the thing for you. This food tracker planner and exercise log will help you change to healthier eating habits. Also perfect for those with a restrictive diet such as gluten-free, vegan, vegetarian, paleo, low carb, high protein etc. 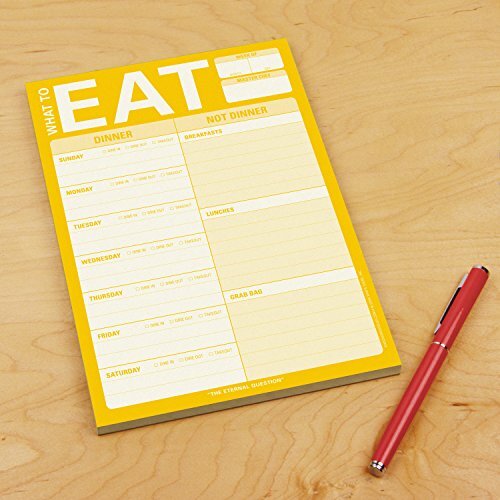 You can also add water consumption in this food tracker notebook. This beautiful undated food planner notebook will help you keep a healthy lifestyle and log the most important aspects of your diet. If you like to keep it simple then this pad can help you. 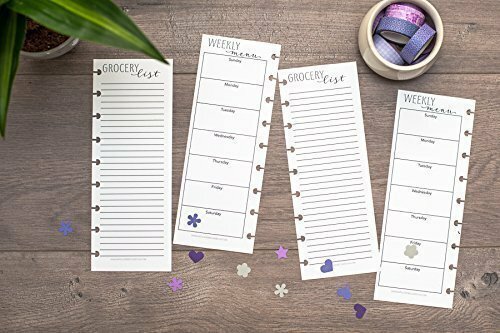 If you use a Happy Planner for meal planning then you will love these meal planning inserts to help you organize food time. So, do you have a weekly meal planner notebook or use your own bullet journal?